The Japanese company Hanayama have been making a range of cast metal puzzles for over a quarter of a century now. The design of their puzzles is amazing, as is the craftmanship with which they are made. Hanayama make a wide range of cast puzzles. We have just selected a few of our favourites to offer here in the Grand Illusions Toy Shop. GALAXY came out in 2014. It is rated 3 stars for difficulty. 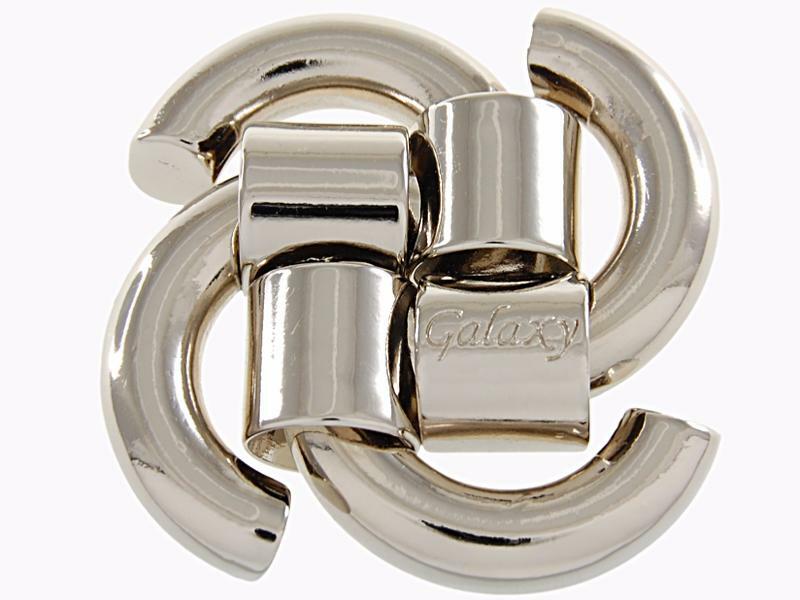 Like the swirling shape of the galaxy… that is why this puzzle was named Galaxy. It is not that difficult to solve but one becomes totally mesmerized by the pieces that move freely. It is more difficult to put them back together then to take them apart. Take a good look at how the pieces move when taking them apart so you can put them back together again.The theme is 'knot'. Bought as a gift, but the recipient was delighted. Wonderful little puzzle. A joy to own. Not too difficult but fun to give to others to try. Don't be fooled liked me by the picture on the box and try to assemble it into the outer spiral shape - that's just it disassembled! It's fun to try the outer spiral even if it is impossible.